Happy Friday ya’ll! What are your plans this weekend? I for one plan on spending lots of time outdoors with the kids soaking up the sun. Now that summer is in full swing, the days are longer, and the temperatures are getting hotter, I tend to always want to wear sunglasses! I’m glad to say I was able to whip out my new Kameleonz sunnies this weekend. These bad boys will be a go to for the summer and even into fall. I love the mirrored lenses and that they have interchangeable side arms, so you can wear them with any outfit. Oh, and they are polarized UV400. Pretty sure my husband stole mine and wore them to work yesterday. Use code SUMMER to get your pair of Kameleonz sunnies for an extra 20% off! Hurry though, sale ends soon! 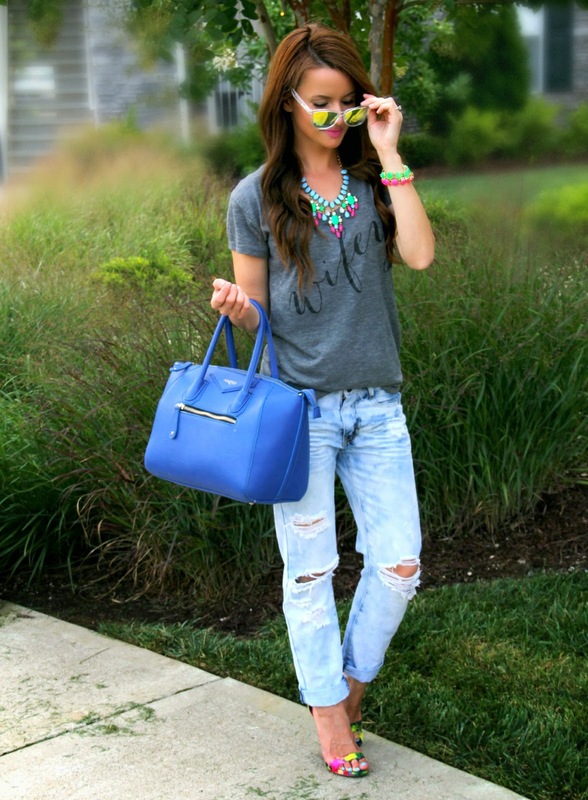 love this outfit, it's the perfect summer style! giveaway on my blog if you're interested! Obsessed with these jeans! How does the sizing run? Gorgeous look.